To ensure that the landscape profession continues to play an important and influential role in relation to future wind energy policy and development in Scotland, the LIS will be providing formal responses to these consultations and welcomes the opinions and contributions of LIS members in preparing these responses. 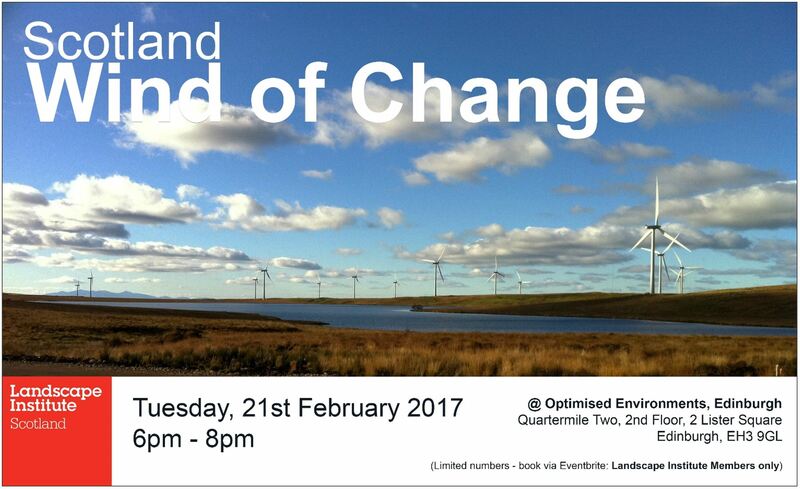 Please note this event is only open to Landscape Institute Members and limited to 30 places. We look forward to welcoming members to participate in the discussions.